Episode 1 of 2: Who is Tilar Mazzeo? Tilar Mazzeo is a cultural historian who has thrown her heart and expertise into uncovering the stories of French luxury brands and the people behind them. 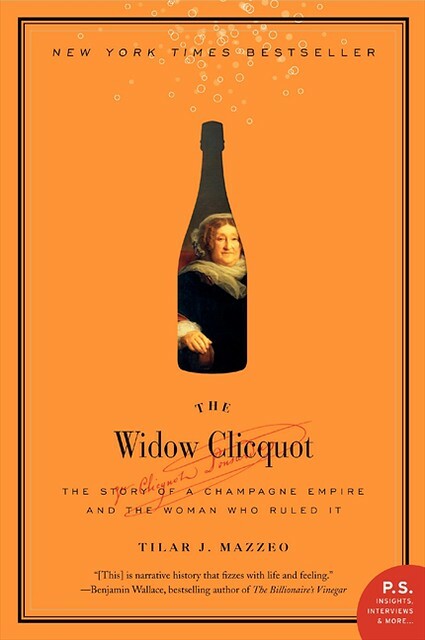 Her first book, The Widow Clicquot: The Story of a Champagne Empire and the Woman Who Ruled It made the New York Times best-selling list. She has also written The Secret of Chanel No. 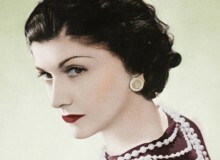 5: The Intimate History of the World’s Most Famous Perfume and is working on The Ritz at War: Luxury in Occupied Paris. Tilar researches the historical period, the brand, its industry and its technology and science, and weaves this information effortlessly into a narrative. 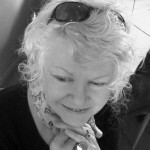 Her elegant writing helps bring the characters alive and evokes a true sense of time and place. Tilar has also written guide books on California wine country and is an associate professor of English at Colby College, Maine. I grew up in Maine, New England, in a small town called Camden, on the coast. Everybody always is. I can’t tell you how many times I’ve gone to job interviews and people have done a double take when they read the name and see a blonde woman coming in. My first name is Finnish. My surname is Italian, or as my father would say Sicilian. My mother’s family and half of my father’s family are Finnish. When did you discover you wanted to be an academic, a writer and a biographer? The writing of biographies was partly an accident. I went directly to graduate school after my university. I had done a degree in English and Classical Greek as an undergraduate and then got offers to go into a PhD program, so I did it without really considering other options. That was great, and I got a professorship. My first professorship was in Oregon’s wine country, so by the time I was in my early 20s I had become serious about wine, but I went into academics. My training was in British Romantic poetry and 18th and 19th century British and Continental European culture. Then I had a job and was moving along with that. I didn’t set out to become a writer as opposed an academic. What happened was that finding two academic jobs, one for me and one for my then husband [in the one location] was really hard. The only job we could get was in the American mid-west. Everyone was really nice, but I was really unhappy; I had become really passionate about wine and there was no local industry there. So I threw myself quite seriously into the study of French champagne to console myself. My girlfriends said, “You have to do that now.” They are the women the book is dedicated to. It snowballed from there. The best ideas come from talking over champagne with girlfriends. How do you describe yourself in three adjectives? I have nomadic tendencies. I have homes in too many places. I wrote on my blog that my mother often asks me which continent I’m on and if she wants to know. I think I have something of the ‘Energizer Bunny’; I’m lucky to have been really energetic. What are your passions outside of writing? I have done yoga seriously for years and years. I’ve been to cooking school, I’m an ‘alright’ cook. The wine, of course. Recently, I have taken up learning how to fence. Yes. You know it was just one of those things that happened when I got divorced. And in the period right after my divorce, I remember thinking that I had never travelled alone and what if I was afraid to do it. Is this one of the things I will lose? So, I made a list of all of things in the world I wanted to do. They were strange things; I wanted to sail on the Queen Mary on the trans-Atlantic crossing; I wanted to learn French, including mastering the French subjunctive finally; I wanted to learn how to fence; I wanted to go to the spas of Eastern Europe. It was a completely crazy list, but I’m working through it and am almost at the end of it. I love fencing, but I have no idea why it popped into my head. How about other things you love, let’s play a game of favourites. What is your favourite city in France? Cannes (out of season) and the Marais district of Paris. I love walking or taking a book and taking a nap in the Luxembourg Gardens. 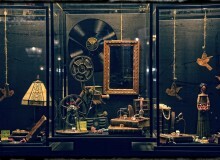 What is your favourite museum in Paris? There is a fabulous, little perfume museum in Versailles called the Osmotheque de Versailles. They are dedicated to collecting fragrances that are disappearing, because most of the perfumes from the ’20s and ’30s, which would’ve been on our grandmother’s boudoir tables, aren’t on the market anymore. Beautiful perfumes that just aren’t available anymore. 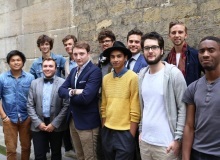 Who is your favourite French writer? I tend to read the 19th century writers, like Gustave Flaubert, but I think that’s [because of] my training as an academic. I have started trying to keep my French up by reading mystery novels in French. What is your favourite place in France to celebrate a big occasion? 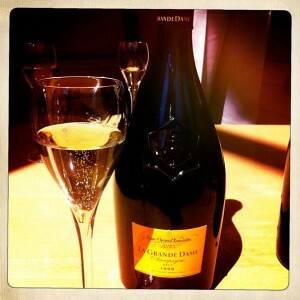 I planned to have my 40th birthday party in the Champagne. I have rented a house in the middle of vineyards for a week. My friends and I will go wine tasting and cook fabulous meals. That for me is a perfect French life. You can find and read the continuation of our interview with Tilar here – Episode 2 : Uncovering French luxury brands’ secrets. There is nothing I love to hear more than a story of how a book is born over drinking champagne with good friends. A great story!